A core challenge of neighborhood effects research is distinguishing the role of individual and family circumstances from the effect of the neighborhood itself. 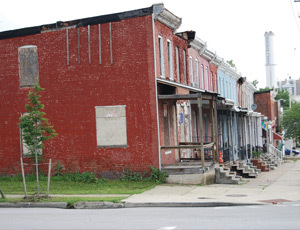 Nevertheless, many neighborhood level indicators are linked to important outcomes for people residing in neighborhoods of concentrated poverty, including crime and delinquency, education, psychological distress, and various health problems. HUD’s Moving to Opportunity (MTO) demonstration found that those assigned vouchers restricted to low-poverty neighborhoods typically experienced better physical and mental health at the five- to seven-year followup than those with unrestricted vouchers or continued project-based assistance. Collective efficacy, as represented by measures of informal social controls, social cohesion, and trust, can help buffer communities against the negative effects of concentrated poverty. Neighborhoods of concentrated poverty can isolate residents from the services and supports they need. Neighborhoods of concentrated poverty isolate their residents from the resources and networks they need to reach their potential and deprive the larger community of the neighborhood’s human capital. Since the rise of inner-city poverty in the United States, researchers have sought to interpret the dynamic between neighborhood and residents in communities of concentrated poverty. Through articles and books such as The Truly Disadvantaged and When Work Disappears, sociologist William Julius Wilson has been a key figure in first popularizing the discussion of neighborhood effects. Wilson emphasizes that a “spatial mismatch” between increasingly suburban job opportunities and the primarily minority residents of poor urban neighborhoods has magnified other challenges, such as crime, the movement of middle-class residents to better neighborhoods, and a perpetual shortage of finance capital, stores, employment opportunities, and institutional resources.1 This combination of barriers creates communities with serious crime, health, and education problems that, in turn, further restrict the opportunities of those growing up and living in them. Wilson also consistently addresses the effect of family structure on the outcomes of residents in such communities, cautioning against both “culture of poverty” arguments and the assumption that individuals are helpless victims of racism. Working together to accomplish goals, strong neighborhood networks can lessen the effects of concentrated poverty. 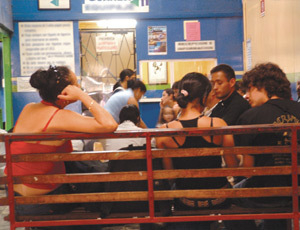 The treatment group: Participants received a voucher restricted to low-poverty census tracts and assistance in locating and moving to housing. The comparison group: Participants received a standard, geographically unrestricted voucher. The control group: Participants received continued project-based assistance. Another key question in understanding the relationship between neighborhood and family effects is whether protective factors are family- or neighborhood-based. A major interdisciplinary study, the Project on Human Development in Chicago Neighborhoods, tested this through the concept of collective efficacy, a shared belief that a neighborhood’s residents can accomplish important tasks, such as preventing crime and delinquency, by working together in formal or informal neighborhood organizations. Communities that share expectations effectively and collectively exert social control over neighborhood conditions and behavior appear better able to counter the negative effects of concentrated poverty. Choice Neighborhoods will coordinate with other placed-based programs to improve housing, education, communities, safety, and services in areas of concentrated poverty. 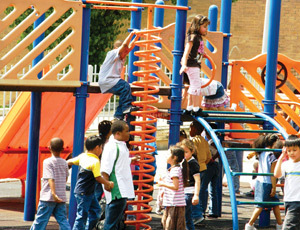 HUD recognizes the importance of creating neighborhoods of opportunity, and its Choice Neighborhoods initiative is designed to deconcentrate poverty and address the interconnected problems caused by living in neighborhoods of concentrated poverty. The initiative’s goal is to strengthen the underlying social structure of neighborhoods through competitive grants, which will encourage strong local partnerships and allow some funding flexibility to catalyze local improvement of key neighborhood assets. Choice Neighborhoods will ensure that HUD-assisted housing is financed and managed in a way that attracts a mix of uses, incomes, and stakeholders, recognizing that the program must simultaneously address housing and public safety, education, employment, well-being, and institutional resources. Choice Neighborhoods will also coordinate extensively and leverage resources with place-based programs at the Departments of Education, Justice, and Health and Human Services, among others. This partnership will help empower communities to address many of their most pressing social problems. William J. Wilson. 1996. When Work Disappears: The World of the New Urban Poor. New York: Knopf, xvii–xvx. Ingrid Gould Ellen and Margery Austin Turner. 2003. “Do Neighborhoods Matter and Why?” In John Goering and Judith D. Feins, eds., Choosing a Better Life? Evaluating the Moving to Opportunity Social Experiment. Washington, DC: Urban Institute Press, 314–8. Interview with Margery Austin Turner, Urban Institute, 6 April 2010. George C. Galster, “The Mechanism(s) of Neighborhood Effects: Theory, Evidence, and Policy Implications.” Presentation at the ESRC Seminar, St. Andrews University, Scotland, UK, 4–5 February 2010. Geoge C. Galster, Jackie M. Cutsinger, and Ron Malega. 2008. “The Costs of Concentrated Poverty: Neighborhood Property Markets and the Dynamics of Decline.” In Nicolas P. Retsinas and Eric S. Belsky, eds., Revisiting Rental Housing: Policies, Programs, and Priorities. Washington, DC: Brookings Institution, 116–9. Robert J. Sampson, Jeffrey D. Morenoff, and Thomas Gannon-Rowley. 2002. “Assessing ‘Neighborhood Effects’: Social Processes and New Directions in Research,” Annual Review of Sociology 28: 466. Margery Austin Turner and Lynette A. Rawlings. 2005. Overcoming Concentrated Poverty and Isolation: Lessons From Three HUD Demonstration Initiatives. Washington, DC: Urban Institute, 8. Robert J. Sampson, Stephen W. Raudenbush, and Felton Earls. 15 August 1997. “Neighborhoods and Violent Crime: A Multilevel Study of Collective Efficacy,” Science 277: 922. “About PHDCN,” ICPSR website (www.icpsr.umich.edu/ icpsrweb/PHDCN/biblio/series/00206/resources). Accessed 25 June 2010.